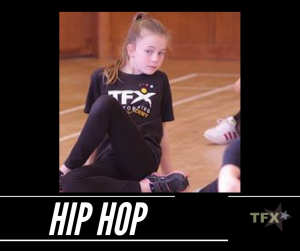 Our Hip Hop classes are athletic, fun and energetic – suitable for boys and girls age 7+. Learn how to pop, lock , execute popular moves, freestyle and shake it out. This class allows dancers to let go and dance without being limited by rules of technique. Vivian Gayle comes to TFX !